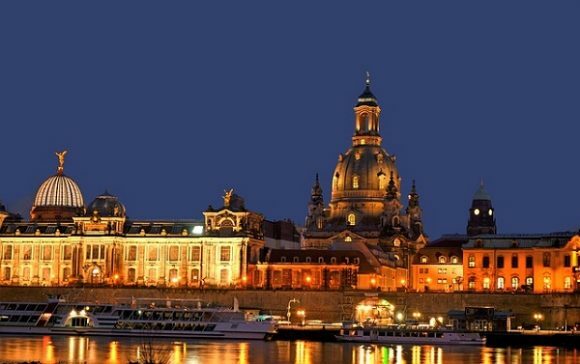 Famous as the Free State of Saxony capital, Dresden is situated along the River Elbe valley close to the Czech border. It is a city that has been destroyed by European wars a couple of times, but has always risen and reinvented itself to some admirable glory. It’s a beautiful city that beckons you for a visit! Dresden has one of the longest histories as the royal residence and capital of the Kings and Electors of Saxony that for hundreds of years gave the city a unique artistic and cultural splendor that spread to all Europe. Dresden has been settled since 7500 BC with its founding associated with the massive expansion towards the east of Germanic peoples. The city of Dresden was founded in 1206 and currently in the State of Saxony in the Urban District with an area of 328.8 km2 or 127.0 square miles at an elevation of 113 meters or 371 feet. By 1270, Dresden had become the Margraviate capital and returned to the Wettin dynasty in 1319. The Saxony dukes looked at the city as their seat in 1485 before the electors did the same in 1547. From 1809 to 1918, Dresden city became the Kingdom of Saxony capital. Napoleon also made Dresden an operations base during his Napoleonic Wars where he won a major victory in 1813; the Battle of Dresden. 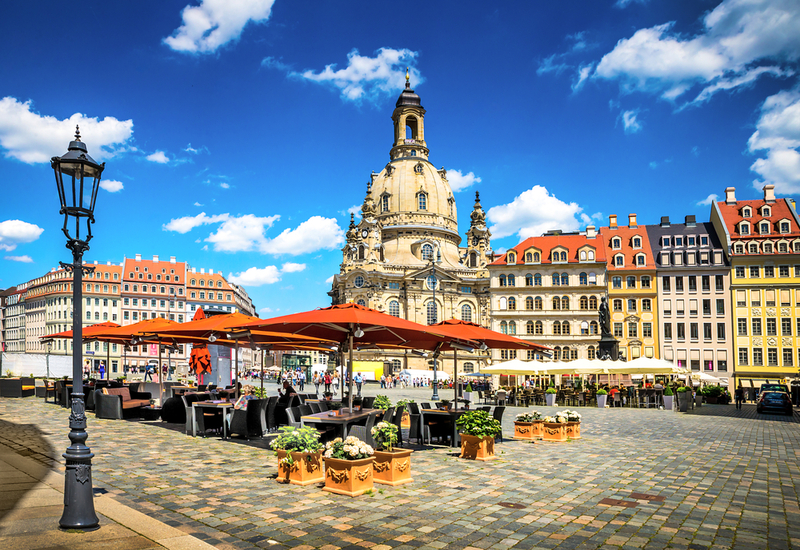 Nonetheless, during the 19th century, Dresden was a strong economic city where food processing, motor car manufacturing, medical equipment manufacturing and banking were taking place. By the early twentieth century, Dresden had become famous for its successful cigarette factories and camera works. Until 1933, the German city was the centre of modern art in all Europe as well as being the first ever Free State of Saxony capital from 1918 to 1934. It is during the twentieth century that Dresden suffered its heaviest blow that is still felt to date. As the heart of art and manufacturing and communications, it suffered greatly when over 90 percent of its city centre was destroyed by allied bombing on February 13, 1945. Apart from the fact that the City of Dresden was bombed into oblivion, the historic buildings around the city were reconstructed. In fact, the perfection of the reconstruction and attention to detail will make you wonder whether the bombing really happened. The city center is quite compact and you can cover a good number of its highlights in 24 hours. 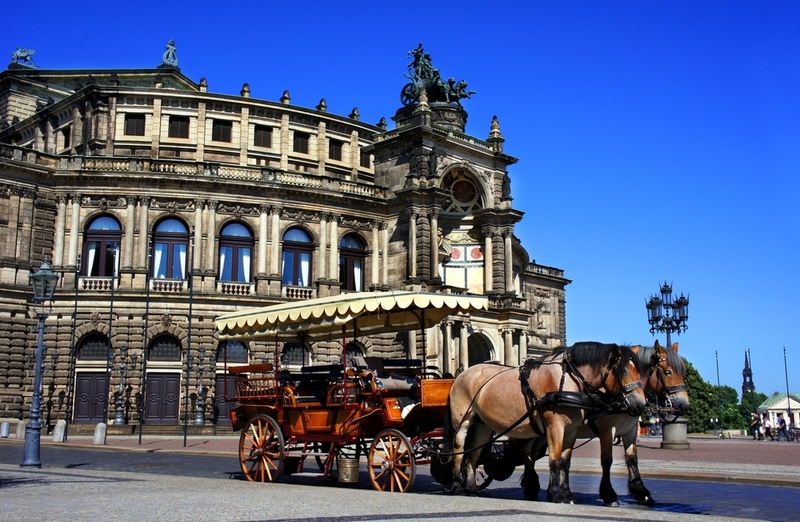 You can begin at the Semperoper or the Opera House’s outer plaza for a satisfying walking tour. The rich and colorful exterior design is the stuff of every casual visitor with a guided tour in German and English also provided. There are music and opera performances every night and it’s a place to be if you have the time. Zwinger Palace close to the opera house is a favorite site for many in the city of Dresden due to its ornate exterior in the Baroque style. Renaissance and Baroque priceless art is housed in the Old Masters Picture Gallery or the Gemäldegalerie Alte Meister. It is also a place to find the Nymphaeum with lots of nymphs and a wonderful Baroque fountain. 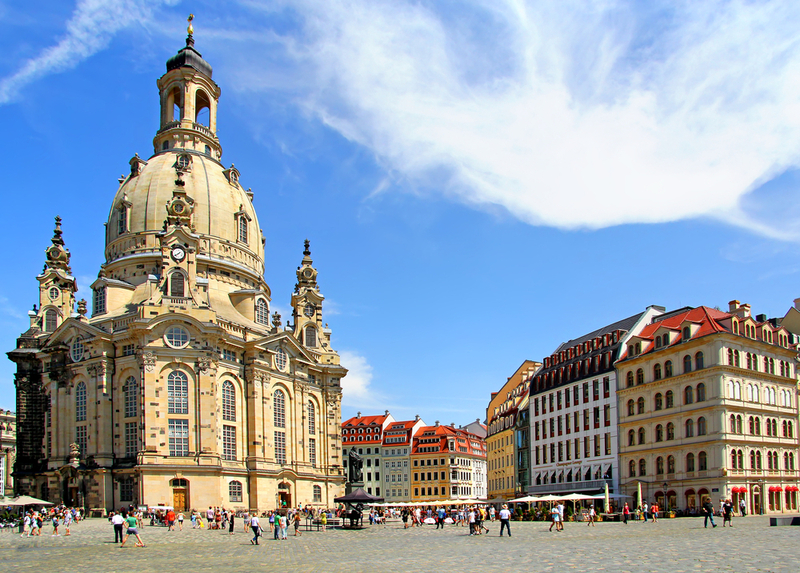 In the open plaza is the Frauenkirche, the Church of Our Lady, offering a 360-degree quaint view of Dresden from its cupola. The bird’s eye view of Dresden from the top of the Frauenkirche is hugely unforgettable. If you have some more time, remember to visit the Green Vault or Grünes Gewölbe to see the finest collection of royal treasures in all Europe or take a boat trip of its own kind along River Elbe in a paddle steamer. 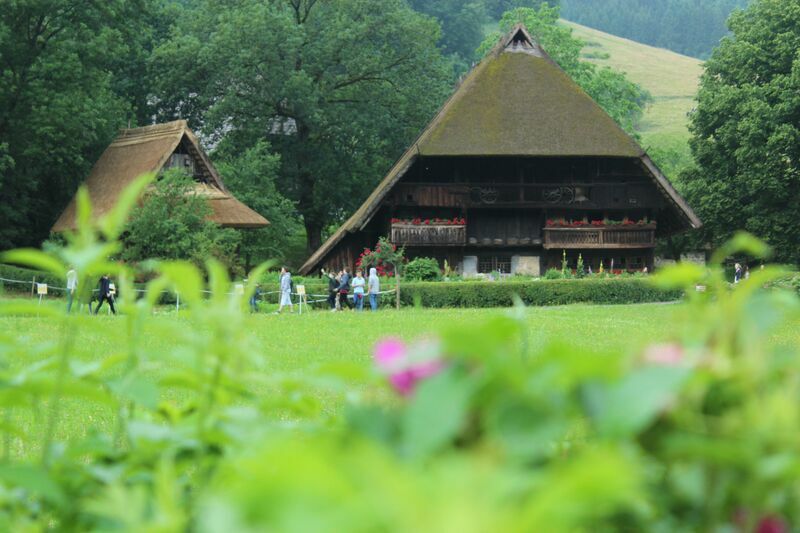 You can end the day with a quick trip to the Pfund Molkerei (Pfund’s Dairy), or most beautiful of all milk shops globally courtesy of the Guinness Book of Records. The Church of Our Lady or the Frauenkirche is at the heart of restaurants that surround it from all sides and the perfect spot to grab some dinner or a quick lunch. Ayers Rock is one of the restaurants nearby with an Australian theme, also one of the best places in Dresden to grab a bite and a drink. It has a long cocktail list and over 200 rinks with diverse beer brands on the tap, both Australian and German. 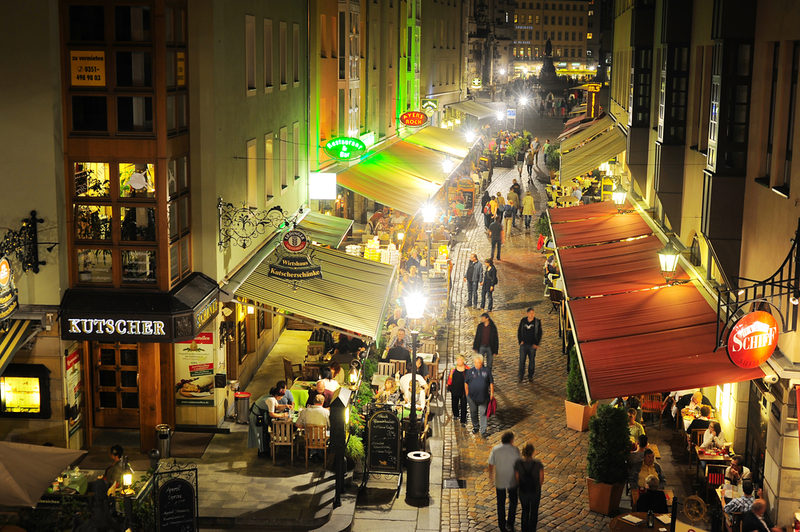 The night life scene in Dresden is one of a kind too where a vibrant young crowd meet in clubs and bars, for instance along the Alaunstrasse within the Outer Neustadt. While Münzgasse is buzzing with activity and worth checking out, the Living Bar along the Wilsdruffer Straße 4-6 is a sleek and stylish lounge bar that is not just inviting but hip as well. Beyond the unique lighting, idiosyncratic touches, wooden polished floors and low leather lounge sofas, stained glass windows and pot plants is a well stocked bar with diverse whiskeys and German beer in all its colors. The restaurant also serves unique European tasty cuisine. For some New York’s Oak Room inspiration, the Karl May Bar is worth a visit for a unique night out with a Saxony touch. You can also pop into Rauschenbach Deli, a famous cafe-bar in the heart of Dresden. While there are so many bars and restaurants to pop in for a wonderful Dresden treatment, the Sophienkeller im Taschenbergpalais is worth every visit for three draught beers, meals and snacks in a cellar restaurant so unique that every staff dresses in colorful costumes of the 18th century. Stollen is a fruit cake containing dried fruit and often marzipan and covered with sugar, powdered sugar or icing sugar. The cake is usually made with chopped candied fruit and/or dried fruit, nuts and spices. Stollen is a traditional German cake, usually eaten during the Christmas season, when it is called Weihnachtsstollen or Christstollen. This most famous Christmas cake is said to originate from Dresden and today there are only 150 Dresden bakers that are allowed to produce the “official version”, which is distinguishable by a special seal depicting Augustus II the Strong, the Elector of Saxony from 1694-1733. 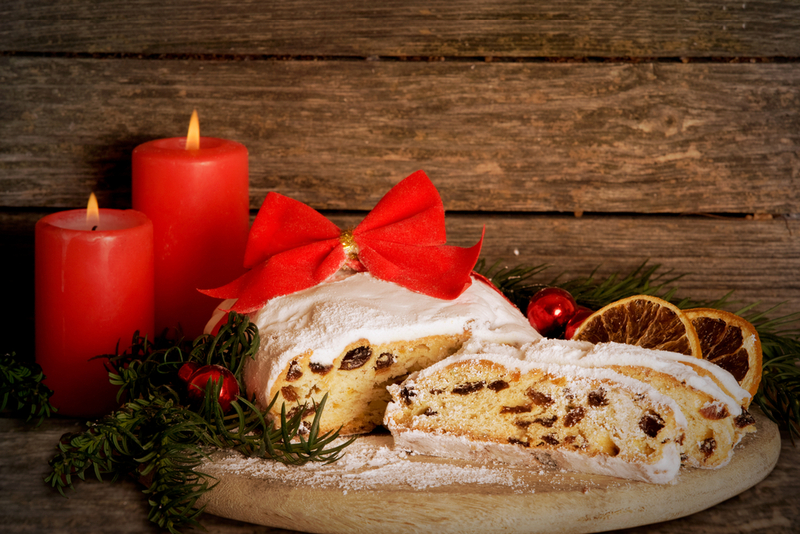 Each year the city holds a festival to celebrate the Stollen during the first week of Advent. A carriage parades the cake through the streets of Dresden to the Christmas market where it is ceremoniously cut into pieces using a special knife and distributed amongst the ground in exchange for a small donation to charity. This event is symbolically reminiscent of custom began in 1730 by Augustus II the Strong. By car Dresden is approximately 5 hours and 30 minutes northeast of Kaiserslautern, 4 hours and 45 minutes northeast of Wiesbaden, and 5 hours and 15 minutes of Stuttgart. For train information, simply click on DB Bahn.